Welcome to Candles From The Keeping Room week here at The Redolent Mermaid! I will be breaking the posts up into: strawberries, bakery, holiday/spice and fresh/woodsy and samples. Yep. A whole post just for samples. Monday through Friday CFTKR shenanigans commencing today. Let's start off with the classic, Fresh Picked Strawberry. I have talked about Fresh Picked Strawberry for about four years now. If I can, I pick a bag up in every order I place with Carol. 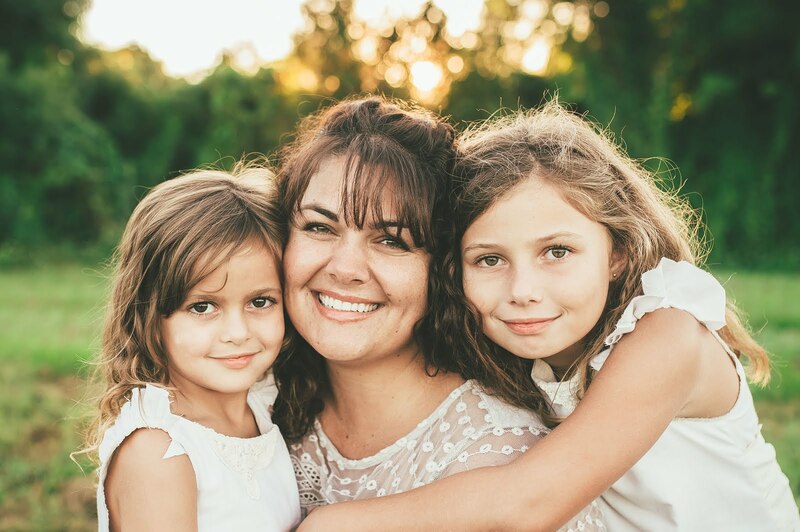 I gift them to my sisters, friends and loved ones. I try and throw a berry in the swap boxes I engage in. They usually end up in RAOks too. Not sharing this scent is a crime. 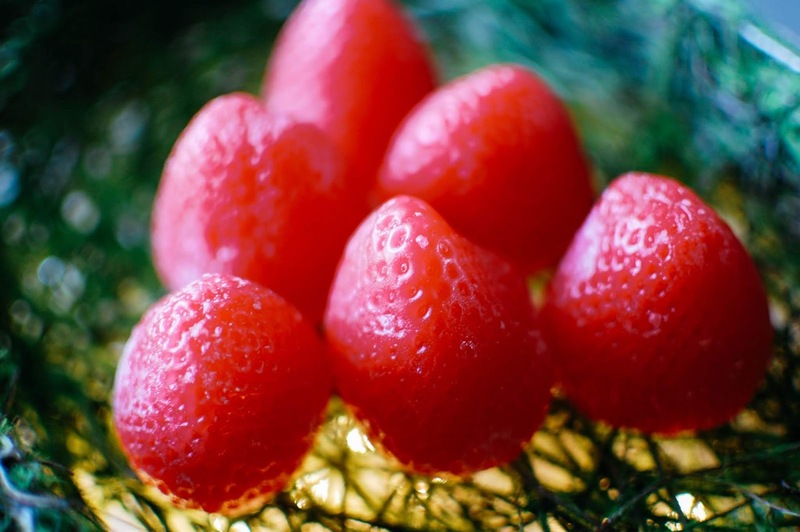 It is a ripe, realistic strawberry that is sweet and sugary, tart and juicy. 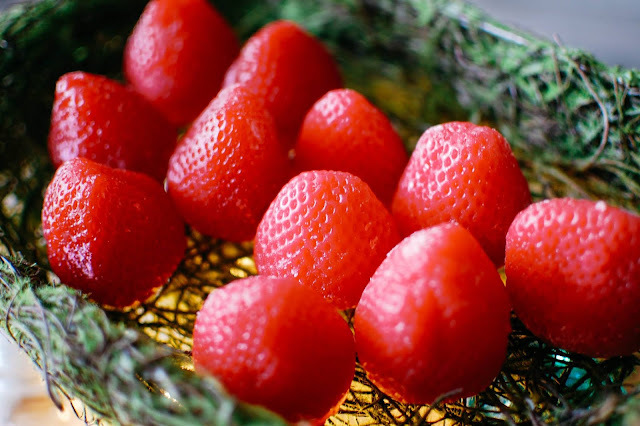 It always reminds me of the flats of strawberries fresh from the fields at Parksdale Farm. It is a strong thrower and heady with summery plumpness. 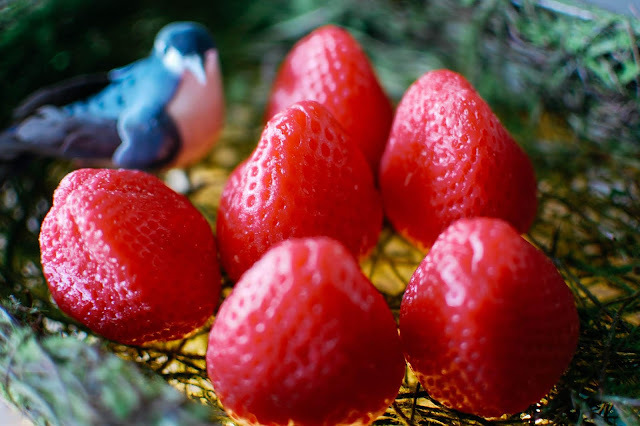 It is my favorite strawberry in wax. I love how Carol uses it to blend up all her delectable strawberry fragrances ($6.25 for six berries about 7 ounces in total). 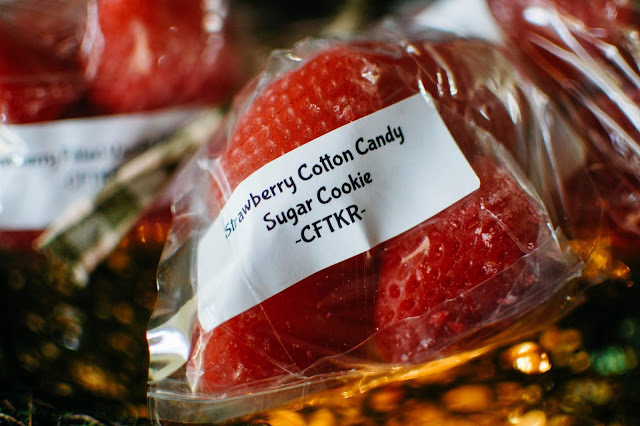 Strawberry Cotton Candy Sugar Cookie blends FPS with cotton candy frosting and sugar cookies. Those sugar cookies are divine and feature strongly. I need to tell you something. Carol has the most amazing cookie scents. You should try out her Frosted Sugar Cookie, her Ultimate Sugar Cookie, her Sugar Cookie Latte. Here in this tart, that rich chewy vanilla bean sugar cookie is topped with strawberry frosting, extra sweet and garnished with candy floss. This blend is brilliant. Strawberry Noel is the bee's knees. I first got a sample of it from my friend Lynda ages and ages ago and managed to get a bag finally about a year or so later and melted through it. This is my second bag and I adore it. Fresh picked berries with that comforting vanilla cookie musk lurking beneath. I can't get enough. Strawberry Martini is an effervescent bomb shell. It smells like a Rose' Champagne. A bubbling Moscato. The aldehydes and fir and citrus and ginger all mesh with the strawberries beautifully. I am stoked I took a chance on this. I have missed having truly bubbly scents in my stash. Strawberry Margarita has a tart salty lime that sidles wonderfully along with the berry. This might be the perfect summer berry, like a strawberry daiquiri and margarita frozen concoction that Jimmy Buffett would be proud of. Strawberry Woods sounded like it would be a "Julie" scent and yes ma'am it is. The woods are comprised of sandalwood and vanilla bean and have an ambery musk yumminess. The strawberry goes surprisingly well with the vanilla sandalwood. I would wear this in a perfume. I would bathe in it. I am so glad I picked up two bags. Strawberry Preserves is a new one for me but I love strawberry preserves in real life so tucked it into my cart. This has the candy sweetness of preserves but a soft floral edge and creaminess that reminds me of the Strawberry Shortcake dolls. It is a fun scent that will be nice to melt in springtime. Strawberry Buttercream is rich and thick and full of cream. It does have a soft putty undertone on cold sniff. I will melt it soon to see how it develops. I try not to judge the 100% paraffin wax on cold sniff alone. Strawberry Filled Vanilla Wafer pairs that fresh picked strawberry with crisp crumbly vanilla wafers. There is a touch of bread to the wafer. This will be a great fall and winter strawberry to melt. Out of this bounty of berries I love the classic FPS, the Strawberry Martini, Strawberry Noel, Strawberry Woods and the Strawberry Cotton Candy Sugar Cookie, oh and the Strawberry Margarita, the most. I would buy all those again in a heart beat. What strawberry blend is your favorite? These sound amazing, and right up my alley. I take it from a peek at Carol's website that ordering is only during open periods? I will have to try some scents next time ordering is available. I would love to try the Strawberry Soda Pop, Julie! Wanted to add that I have been loving the smell of coke in wax, primarily the coke blends from SuperTarts. Have you tried any of those? They are blended with bakery, and divine! Grover, Coven, Babadook are some of the ones that come to mind. Love Carol so much but cant afford to purchase from her as often as I would like. I had Strawberry Martini on my list, but it didn't make the final cut. ;) I'm glad you reviewed it! 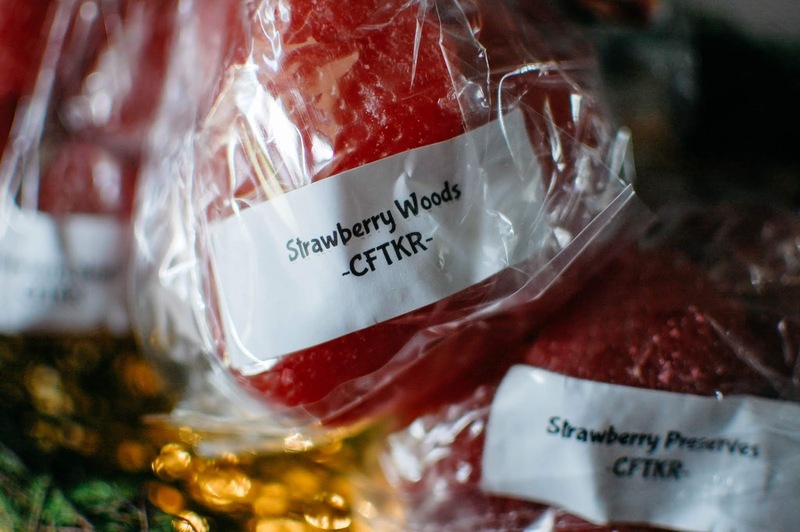 Strawberry Woods sounds wonderful. I'll have to keep that one in mind for the future. Ha, I love that you went so big you had to break it up into an entire week of posts! That's how you do it! When I do eventually break the fast, I suspect it will be similarly LARGE. Hahahahaaa! Yeah.... I went BAD!!! But my drawers were getting low and I was ready to place a nice fat juicy order. I've had a sample of the Strawberry Cream Soda, and it's a winner. I didn't go for it this go round, but I probably will next time. Ooooo! Good to know! It sounds like I would like it. I had a Pumpkin Cream Soda scent from Carol once and loved it, so I figured I would like the strawberry version too.